Located in North Scottsdale, this restaurant has operated since 2008 with the current owner taking over in 2013. A death in the family has forced the sale. 2015 Sales were $280,000 according the owner. The Buyer should validate this fact as the owner wishes to keep her books and records private and between her and a buyer. This restaurant has a few great features. First the covered outside patio facing south is gated and perfect for serving drinks in this great Arizona weather. Second there is a nice bar screaming to become the focal point of this restaurant with the right designer and facelift. Finally, the kitchen is perfect for many possible concepts with a nice hood system as well as good equipment. The restaurant has about 1,920 Sq. Ft. inside that seats about 36+ people and a 200 Sq. Ft. patio area that seats about 12 people. The outside patio is fenced to allow for liquor consumption. 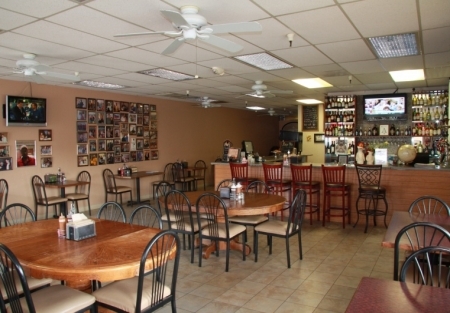 You can get more information about this restaurant and many others in Scottsdale at SellingRestaurants.com.